I had such a great time creating this fun project for Michaels Big Brand Sale, which launches next week. I had the opportunity to pick a favorite brand and immediately chose Crayola. I mean hands down it is the best crayon brand out there right?! 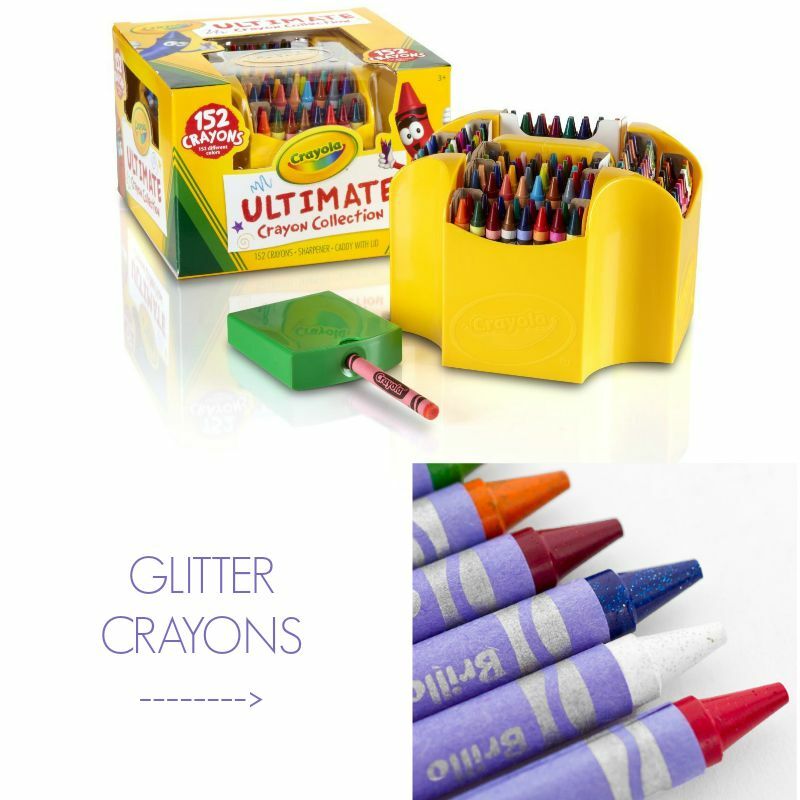 We all know it doesn’t stop at “crayons” and includes: chalk, markers, colored pencils, paints, clay, and on and on. 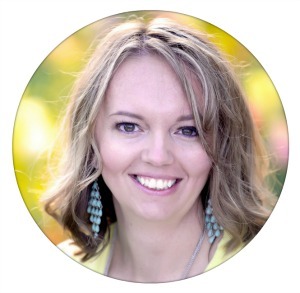 Perfect for creating with the children and for the teacher’s classroom. Today, I want to share a technique I’ve been playing around with – using glitter crayons on canvas for a “chalkboard” effect! 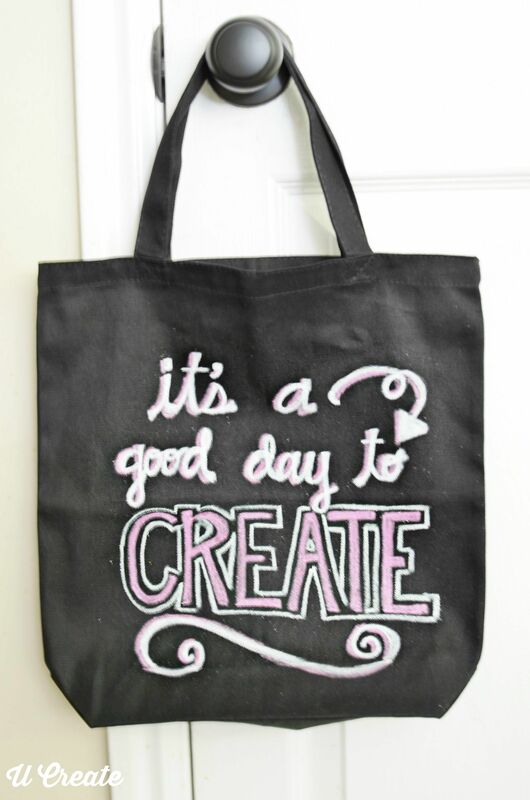 I used this simple idea to create a Chalkboard Tote Bag Tutorial. I bought this Ultimate pack of crayons because I was in love with the container and the many different colors and types of crayons in this set. You can use any light crayons for this project, however I found the glitter and metallic crayons are best as they have a silky, smooth feel. Start doodling and coloring on your canvas tote bag. Oh, and I found a pack of three tote bags at Michaels for $9.99 and used my 50% off coupon so they’re really affordable. If you don’t feel comfortable coloring directly with the glitter crayons, trace your design with a pencil first. The fun part about this bag is that you can draw a picture, put a funny craft saying, an inspirational quote and have fun using the other glitter crayon colors! 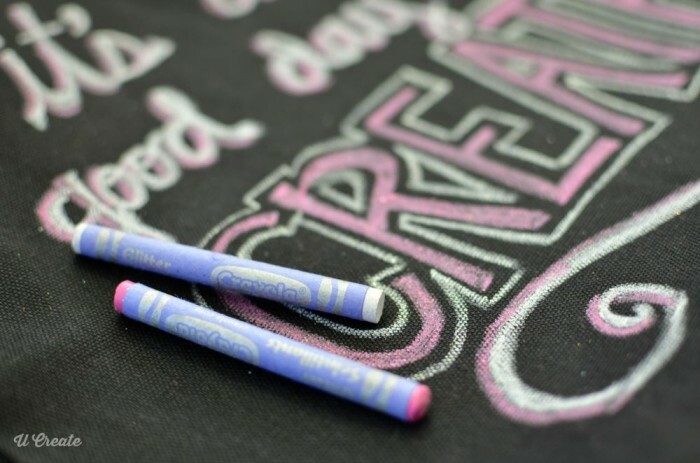 The brighter/lighter the crayon the better it will pop for that chalkboard look! Feel free to try this on a black art canvas for a creative home decor project. My children want to make library totes, too! Michaels carries a wide range of Crayola for you and your next kids’ next project in stores and on Michaels.com – and the best part, all Crayola product is on sale from 8/2-8/8 – just check out the Big Brand Sale landing page for more details! This post was sponsored by Michaels. Project and opinions are mine. 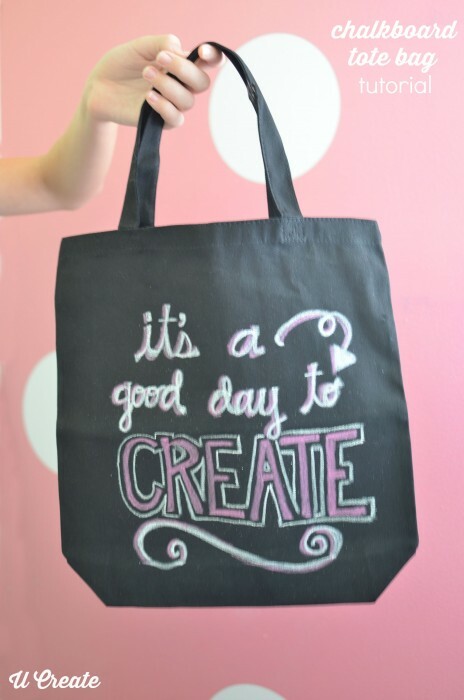 I love these totes. The idea of a library book tote is perfect for my 4 year old grandson, who gets to visit the library weekly and choose new books to read. A very useable, inexpensive and unique gift idea. I’m making one for him right away. Thanks for the great tutorial.